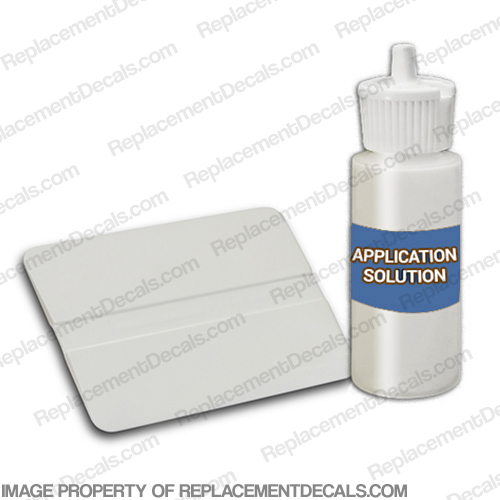 This kit is what you need to professionally install your new decals! Includes 1 squeegee and 1oz of concentrated application solution. *Add 1oz of concentrated application solution to a 16oz spray bottle. A Squeegee is a handy plastic tool used to smooth out your decal during installation. The squeegee will help remove trapped air and create a bond by activating the adhesive of the vinyl when pressure is applied.